Here is our Mini Cooper D finished in White. The super frugal Mini engine will return an amazing 80mpg ! 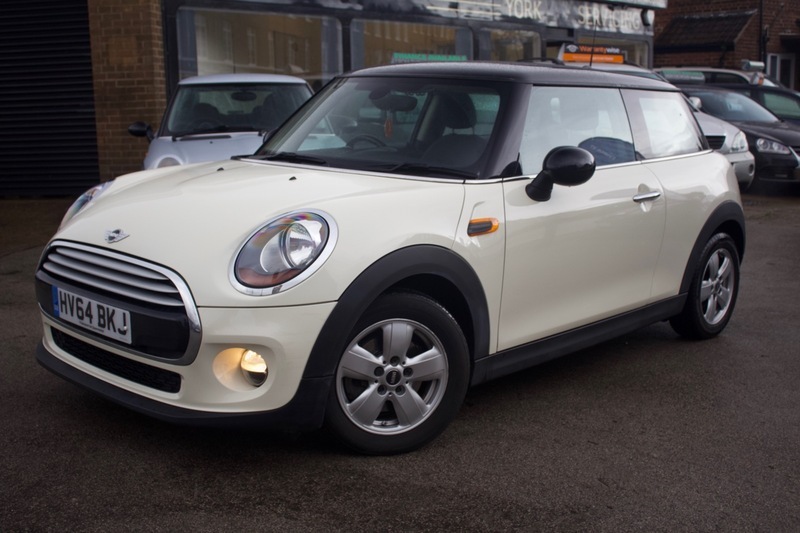 The mini comes with Full Service History, previous lady owner and is in great condition throughout. The mini interior is truly different with all dials changing colour depending on the operation and moonlighting throughout the vehicle. The car also comes with Alloy Wheels, Alarm, Climate Control, Electric Windows, Bluetooth, USB, AUX, Brake Assist, Cruise Control, Cup Holders, Daytime Running Lights, Electric Mirrors, ISOFix Anchor Points, Particle Filter, Privacy Glass, Rain Sensor, Auto Windscreen Wipers and Start Stop System. The car comes with MOT, 12 months Service, Warranty, Free AA Cover for a year and Pre Delivery Inspection Report.